Built in 1911, Heronslea is an elegant detached Edwardian house retaining many original features such as dual aspect sash windows, ceiling cornicing, alcove storage cupboards and Art Deco and decorative tiled fireplaces. Once through the front door with climbing roses and clematis to either side, the well proportioned family home is beautifully presented throughout. A secluded garden principally laid to lawn with mature trees and borders carefully planted to provide year-round interest, octagonal timber greenhouse and detached double garage, enhance the outside space. 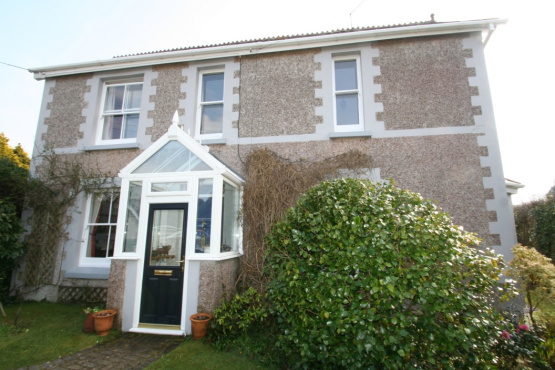 Heronslea with a guide price of £485,000 is located in the popular South Hams village of Yealmpton within commuting distance of Plymouth. Marchand Petit’s Modbury office (01548 857588) invite calls for further details and to arrange a viewing.